Does the country need more workers? The improving economy has brought unemployment to an 18-year low, leading to what many experts say is a nationwide labor shortage that could hamper economic growth. Manufacturers, truckers, construction companies, retailers and other businesses say demand for skilled workers now exceeds supply. Adding pressure is an ongoing wave of Baby Boomer retirements that is leaving many jobs unfilled. But some economists contend the labor supply is more than adequate to meet demand. Unemployment figures do not count people who have stopped looking for work but still want a job, they note. Moreover, they argue that stagnant wage growth suggests most employers see little reason to raise pay to attract workers. Still, many employers are struggling to fill open positions, and some are resorting to creative ways, such as student-loan reimbursement, to recruit help. 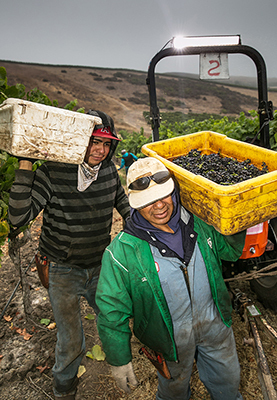 Meanwhile, the Trump administration's efforts to curb immigration have led to concerns that some industries, including agriculture, could have trouble filling jobs that few Americans have shown they want.